Sometimes you have to have early Christmas presents. Those are the sort whose usefulness will be reduced if you have to wait for Christmas Day to receive them. Definitely the case with coats! Daughter No 1 spotted the long line blazer in the May 2017 issue of Burdastyle and immediately put it on her list of things for me to sew. 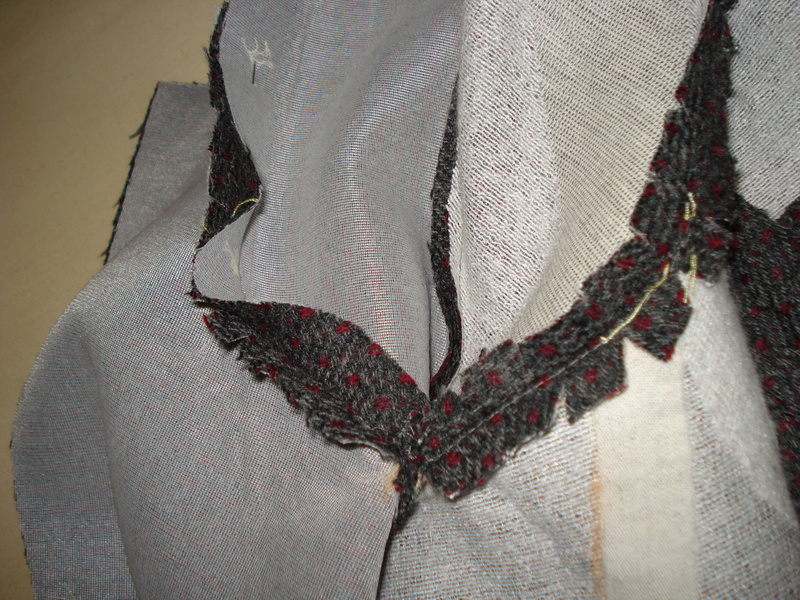 We just needed the right fabric – same old story. So the project languished with all the others I desperately want to get on with, but am held back on. The arrival of Autumn heralded a change round of fabric boxes, summer stuff into the back reaches of the cupboard, winter weights rediscovered. And in that box was a 2.5m length of grey wool with a darker windowpane woven through it. 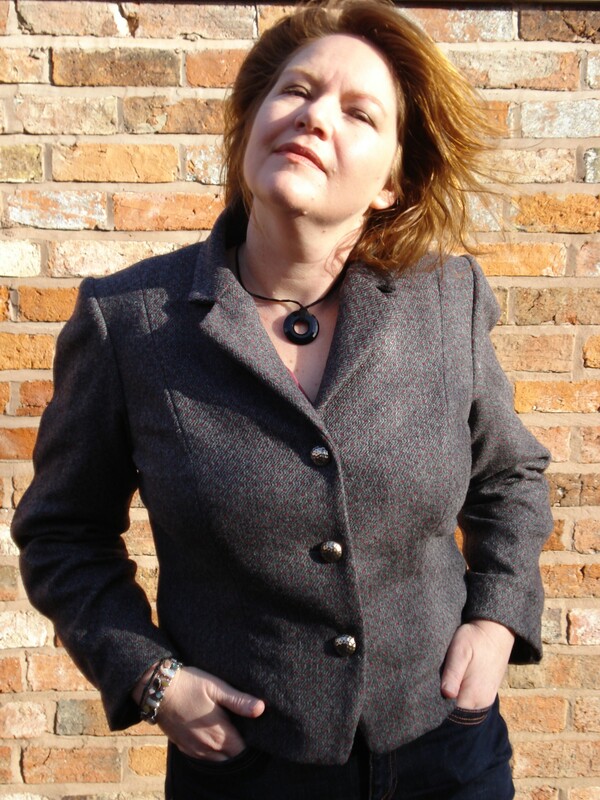 I’d bought it from Croft Mill Fabrics 2-3 years ago and never got round to turning it into the “perfect jacket”. But it could be the “perfect coat”. The blazer in the May Burda was made with crepe, soft and draping. But this was no heavyweight coating fabric – I thought we could gamble. As luck would have it, Daughter No 1 rather likes grey and gave her seal of approval to it’s use for her coat immediately. 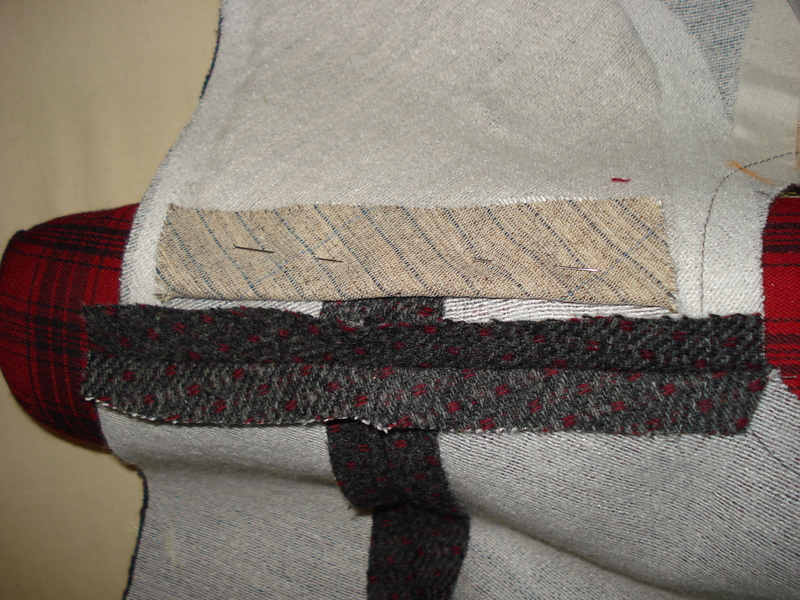 I also had a lovely dark blue satin lining in the stash (bought for the grey wool) that proved enough for the coat. A few adjustments were necessary, she didn’t like the slits in the side seams of the original coat pattern, so these were omitted, and she wanted less volume in the back. 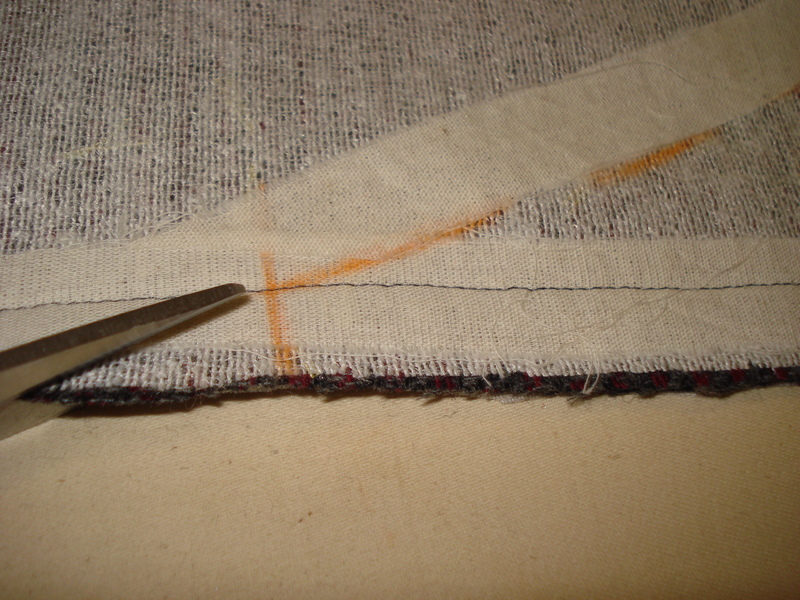 I took the centre back seam in a total of 3cm at the waist, and 1cm on each side of the back panel where it joined the side panel. 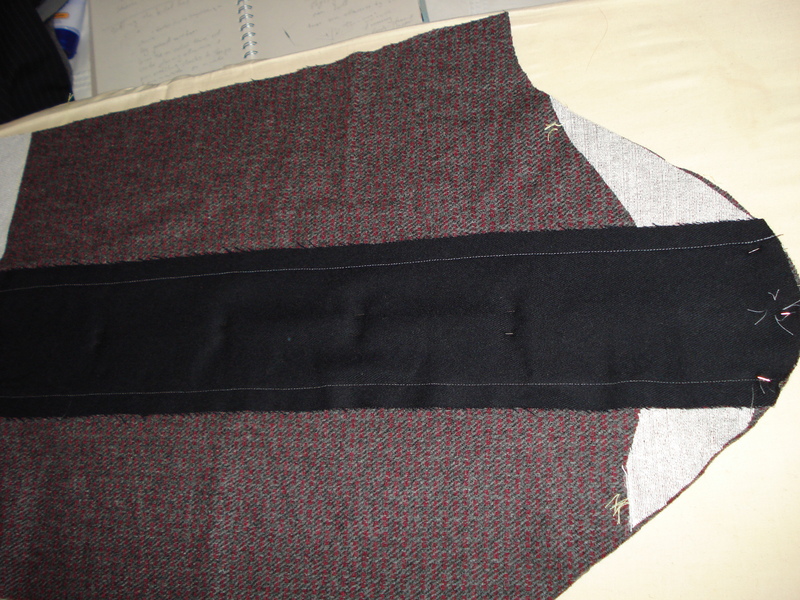 This gives more shape to the coat, and eliminates the need for a belt, or half-belt as in the original design. 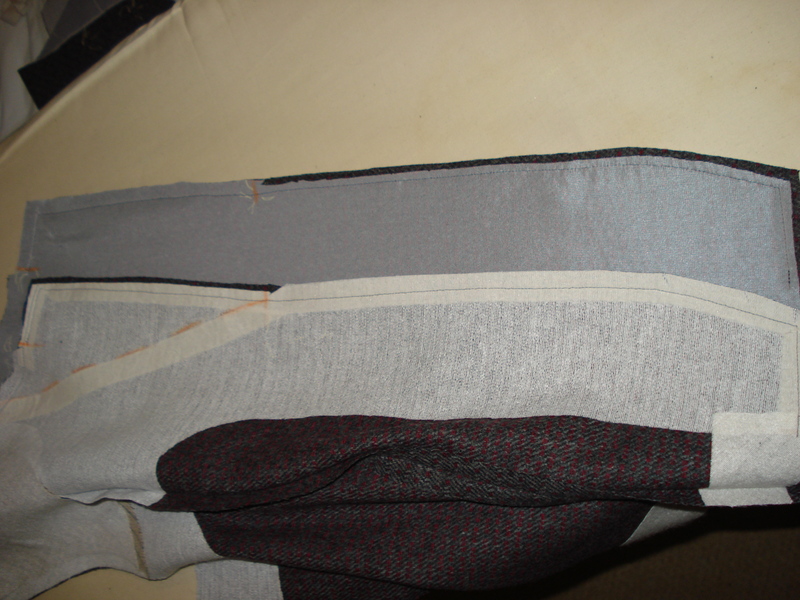 I made small adjustments to the seams where the inseam pockets were to be inserted to that they’d be more invisible and have less bulk at the seam. I pinned the checks of the windowpane together in a 20cm grid to ensure nothing moved around and to make sure the pattern would be easier to line up afterwards. 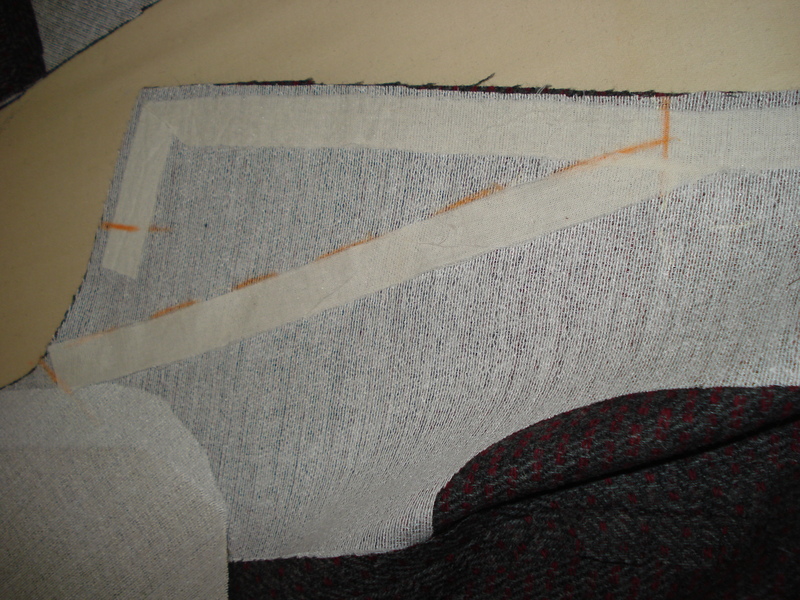 I drew lines on the pattern pieces to make sure I was laying everything out exactly and that the patterns would match. It took some time, but was definitely worth it in the end. 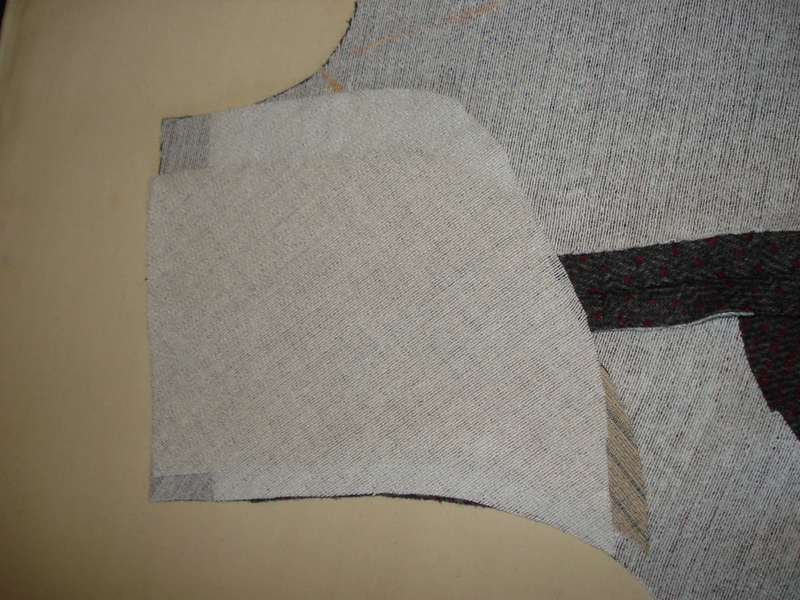 I chose the speed tailoring route rather than traditional, time was of the essense here, and while I know you get a fabulous look with traditional tailoring, I think you can get just as good a finish if you use speed tailoring correctly. Originally Daughter No 2 was looking at a more slouchy fit coat, dropped shoulders, slight cocoon shape. I’d already got the wool, 3m of the most beautifuly soft lambswool from Fabworks Online. And the colour? Most appropriately named “Autumn Maple”. It’s gorgeous!! On a flying visit home from Uni, she spotted the grey coat hanging in a wardrobe, tried it on and fell in love. Thank heavens it didn’t quite fit her properly or I’d have been looking to make another for Daughter No1!! So I needed to trace the bigger size of the first coat, lengthen the sleeve by 4cm and make the same alterations in the back, and to the pockets, as I’d made first time around. 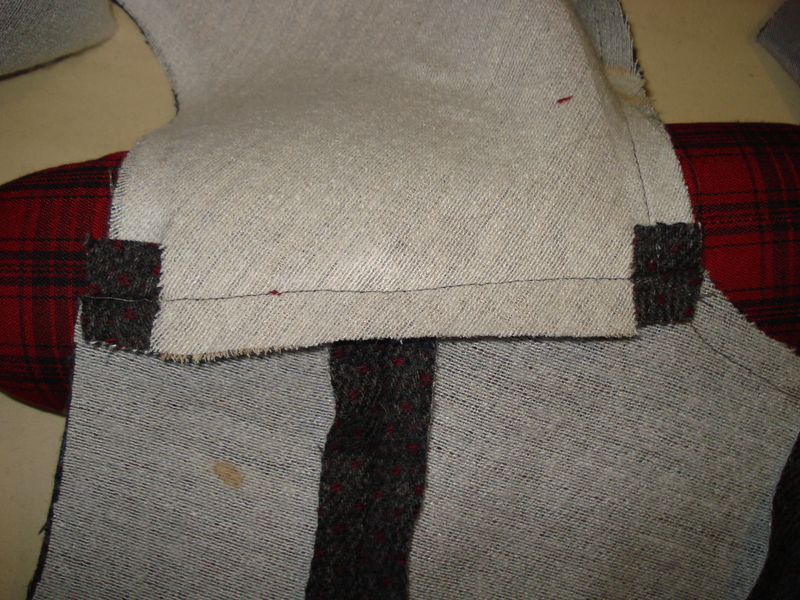 This fabric is a coating fabric, so I made the upper collar a little bigger that the first one to accommodate the turn of cloth, as well as the revers and remaining centre front. 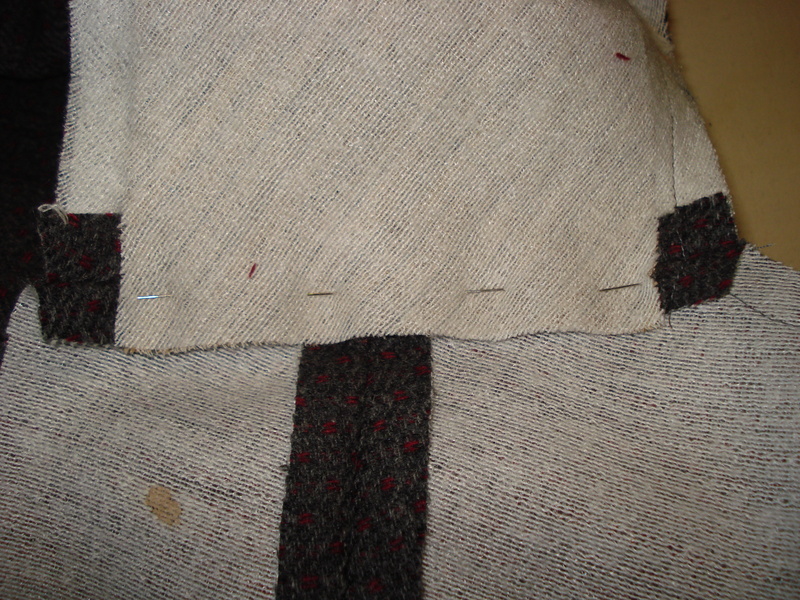 (Tip, when making coats and jackets, always make the upper pieces bigger, never trim the under pieces smaller). 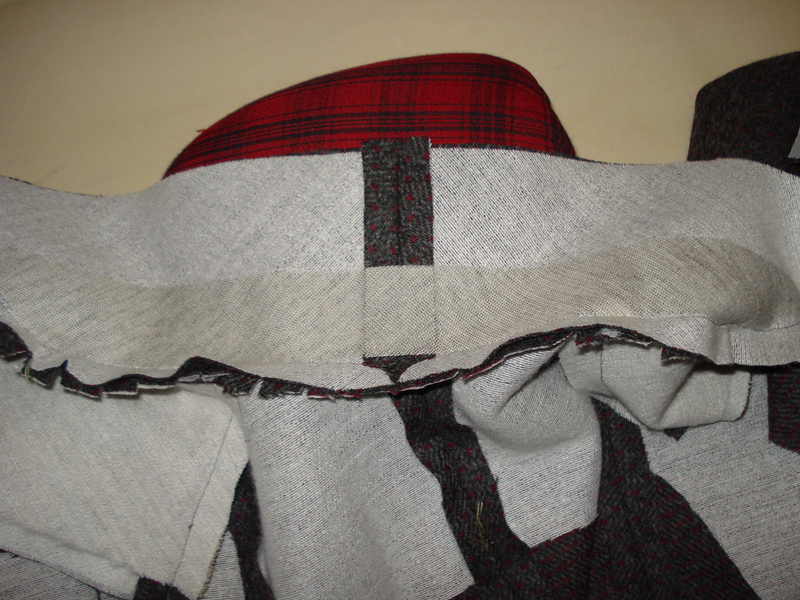 Again, taking 5 days and working carefully with my interfacings, organza cloth and clapper, I think I managed to turn out a lovely looking coat! I love the lining fabric which she chose from Fancy Silk Store. The gold spots pick up on the orange of the coat and just shine. I chose a dark bronze snap for the closure and attached it with nice neat buttonhole stitch. I was tempted to use a brown or dark thread for this, but the orange makes it look like a star, and that I like. Both girls love their new coats, and the different fabrics and colours are enough that they don’t look like they’re wearing the same thing when they’re together. At least, I hope not!! They look amazing, and warm and cosy, which is the most important job of a coat. Ok, as promised, here are some photos. 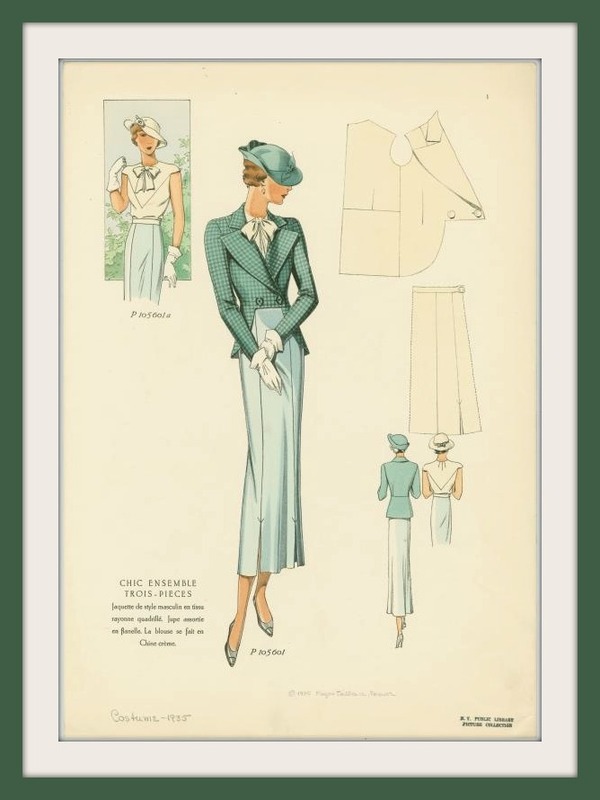 I realise the one I used in the previous post didn’t show the fabulous sleeves!! Oh no! 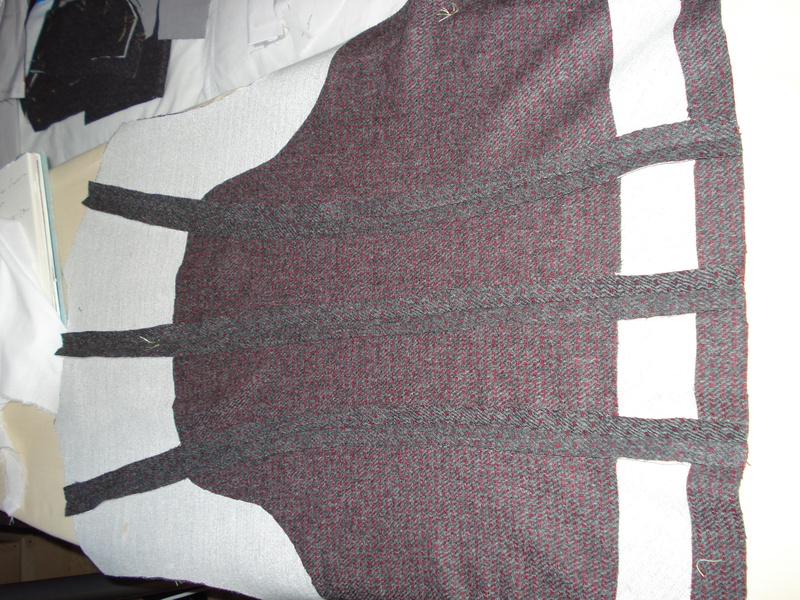 So that’s that project done, and the next one is on the drawing table now, a grey jersey dress.